Do you want to be on the front lines as a solid waste management consultant – solving problems and lending your expertise to benefit the environment and build great communities? GBB is a consulting firm that loves helping people see garbage as a resource and an opportunity. We do this through planning and implementing integrated waste management programs designed to provide cost-effective services, protect the environment, and sustain our natural resources. We're passionate about the environment and are fortunate to work with great employees, associates, clients, colleagues, and friends who share our passion. Visit the Career Opportunities section of our website for details. "China's National Sword Policy: Impacts and Opportunities for U.S. Local Governments and Industry Stakeholders"
As the keynote speaker at the Illinois Counties Solid Waste Management Association Conference, in November, Corinne Rico (GBB Project Manager) talked about the Chinese National Sword and its effects on the U.S. recycling industry and local programs. Short-term strategies from communities across the country, and some recommendations to prepare / respond to the situation were discussed. GBB will be present at the following industry events. We look forward to seeing you there! Visit the Conference / Tradeshow section of our website for an updated list! Links to all recently published GBB articles are available on the website. We invite you to follow, and like, GBB on LinkedIn, Twitter, and Facebook to automatically get the latest news and info about the firm! "Actively leading GBB for over 38 years, and meeting so many passionate professionals in the industry, has been incredibly fulfilling. In my new role, I look forward to mentoring both the senior management team and young industry professionals on the GBB team, and to continue to do valuable work with our clients." 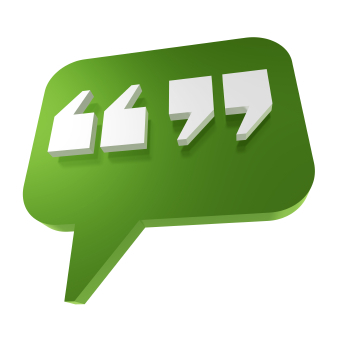 "I look forward to seeing GBB provide the same passion it has had over the years; steering it successfully through changes in the industry; keeping GBB a trusted leader; and maintaining a strong and capable group of officers and consultants who are experts in the Solid Waste Management industry." 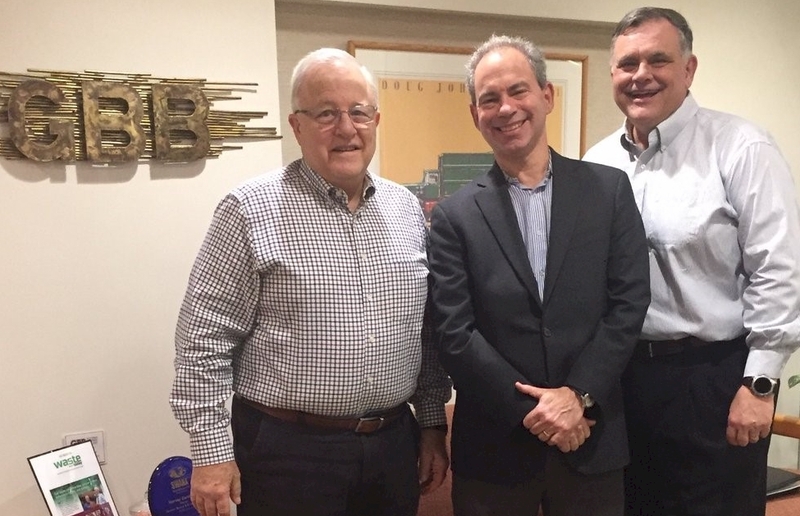 On January 1, Harvey Gershman became GBB Founder Owner Associate while Steve Simmons was named GBB President. 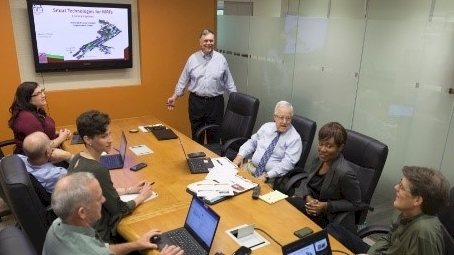 In his new role, Harvey, who co-founded the firm in 1980 and led it as President since its inception, will continue to provide valuable strategic guidance and business development assistance to the GBB ownership group and management team, acting as a senior advisor to provide internal peer review, quality assurance, and overall strategic guidance to clients. Inspired by Earth Day 1970, he focused his professional career on helping communities and clients do better things with waste. He has become a recognized industry thought leader specializing in strategic guidance and infrastructure and services development assistance to solid waste service / system managers and owners. In 2013, the Solid Waste Association of North America (SWANA) presented him with the Robert L. Lawrence Distinguished Service Award, one of the highest honors in the solid waste industry, for his significant contribution to the solid waste management profession. In 1993 he was awarded SWANA's Professional Achievement Award. Working closely with Senior Vice Presidents Chris Lund, P.E., PSS and Tom Reardon, Steve Simmons will lead GBB's senior management team, set the long-term path for the firm and continue its proud heritage of providing independent advice to clients. After first joining GBB as a Principal Associate in 2012, he became a member of the ownership group in 2016. He has worked both with engineering / consulting firms and energy companies throughout his 35-year career to help communities and companies alike develop programs and projects implementing the 3 E's of sustainability: environment, economy, and equity. In a recent Q&A session with Waste Today magazine, Steve talked about his new role, the direction in which he hopes to lead the company and where he sees the waste and recycling industry going in the future. along with waste, recycling and sustainability issues. 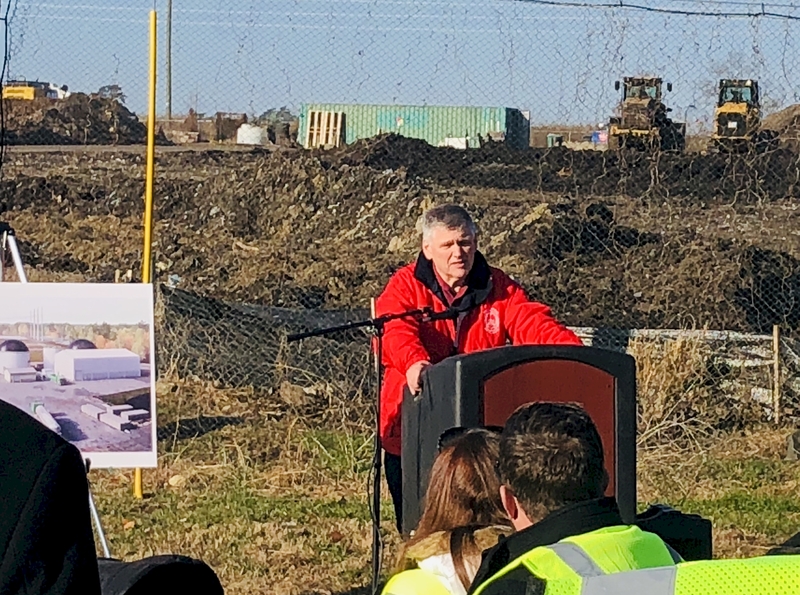 Construction of a brand new facility to process yard waste, food scraps, and wood waste in Prince William County, VA, was officially kicked off by a groundbreaking ceremony in December. Phased construction of the new facility in the second-most populous County in Virginia, located about 35 miles west of Washington, DC should take approximately two years. As per the innovative 20-year public-private partnership (PPP) agreement with a Northern Virginia-based firm, which includes extension options, organic material currently received by the County are processed by the contractor using existing processes while the new facility is under construction. GBB has been working closely with the County on the technical and economic feasibility study, planning and implementation of the Prince William Renewable Energy Park, and on the procurement process for this new state-of-the-art organics facility. Among the expected benefits of the PPP are the creation of 20-25 jobs, increased organics processing capacity, increased recycling rate, extended landfill life, and setting a solid foundation on which to build a comprehensive County-wide organic waste management program. addresses attendees of the groundbreaking ceremony. 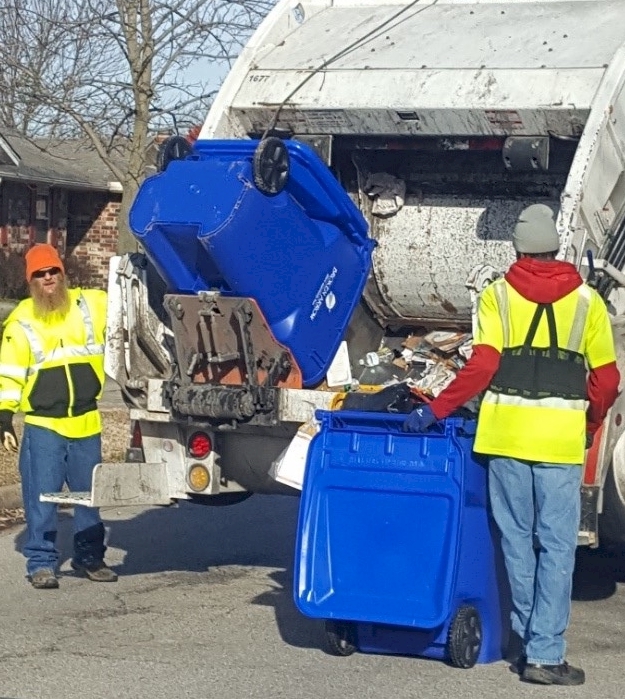 To assess the potential waste diversion, operational requirements, and program costs of implementing a full-scale curbside recycling collection program and adjusting the waste collection program, approximately 1,100 of the 38,000 households in the City of Broken Arrow, OK, are part of a two-pronged pilot program that started in late January. For a period of 4 months, 580 households are piloting a two-cart system while another 515 households are piloting a one-cart system (recyclables in a cart and garbage in City-provided plastic bags, as in the current operation) to test the programs. Residents will provide feedback on the proposed recycling program, the conversion to once a week waste collection, and the use of rolling carts. Early results, based on the first week of the pilot, saw a recycling set-out rate in both pilot areas of approximately 43%. The level of success of each pilot program will ultimately be evaluated by the GBB Project Team based on the level of participation, weight of various materials collected, the level of contamination in the recycling cart, and the cost of the program. The pilot project follows a randomized, statistically significant telephone survey of Broken Arrow residents, performed by a team led by GBB, about their attitudes, opinions, behaviors, and engagement regarding their curbside garbage service, recycling, and the bag voucher system. The intent of the project was to gather information that could be used in decision-making about future revisions to the solid waste collection system, with a particular interest in adding curbside recycling service and in the billing/payment method. The GBB Project Team then prepared detailed cost analysis of one collection service option identified by the City's advisory committee, which led to the current pilot project. 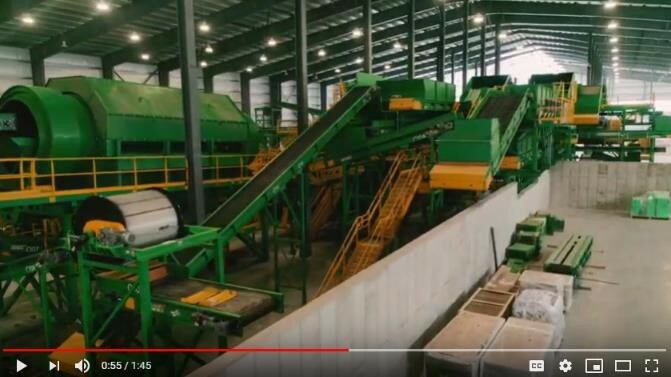 Fiberight has published an interesting video showing the progress of the construction of its Next Generation Recycling facility. The Coastal Resources of Maine waste processing facility, which is scheduled to start operations in June, will boast the largest anaerobic digester in Maine and process single-stream recycling and over 150,000 tons per year of household trash into value-added products for the fuel and recovery market in Maine. GBB assisted Ultra Capital LLC, a sustainable infrastructure investment funds manager, in securing the $45M bond financing, a key milestone for the development, construction, and operation of the new and innovative waste processing facility from a joint venture between Ultra Capital and waste conversion project developer Fiberight. An experienced Project Manager who recently completed her Master of Science degree in Resilient and Sustainable Communities, Corinne focuses on helping clients manage waste and recover resources through alternative streams including recycling, composting, and circular economy initiatives. 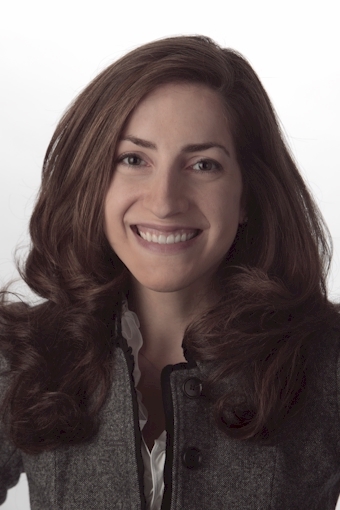 Initially joining GBB as a Senior Consultant, she was recently promoted to Project Manager. Prior to joining GBB, she was a Fellow in the Sustainable Cities Institute at the National League of Cities. She also has over 9 years of experience in the sustainable interior architecture and planning industry. Based out of GBB's headquarters in McLean, VA, she can be reached at crico@gbbinc.com or 703-663-2421. "Corinne has a combination of project management, research and analysis skills along with valuable recent experience leading the development of Municipal Action Guides on sustainable waste management, recycling, resource recovery, and circular economic development for local governments in the Sustainable Cities Institute at the National League of Cities. Coupled with her studies in the field of sustainability, it makes her a great addition to the GBB team, poised to be an important contributor to our consulting projects." 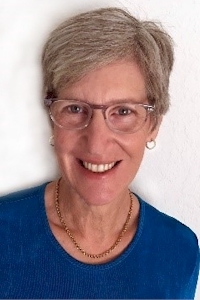 A solid waste industry veteran, Robin has over 37 years of experience in sustainable waste management, renewable energy, recycling and organic waste. Formerly the Executive Director of the Northeast Maryland Waste Disposal Authority, she successfully led a wide range of projects and initiatives during her 30-year tenure. For the past 7 years, she has been an Independent Consultant, providing advisory services such as contract negotiations for the public-sector, project management, and professional coaching to US-based and international clients, with a specialty for island nations. Based in the Tampa area, in Florida, she can be reached at rdavidov@gbbinc.com. 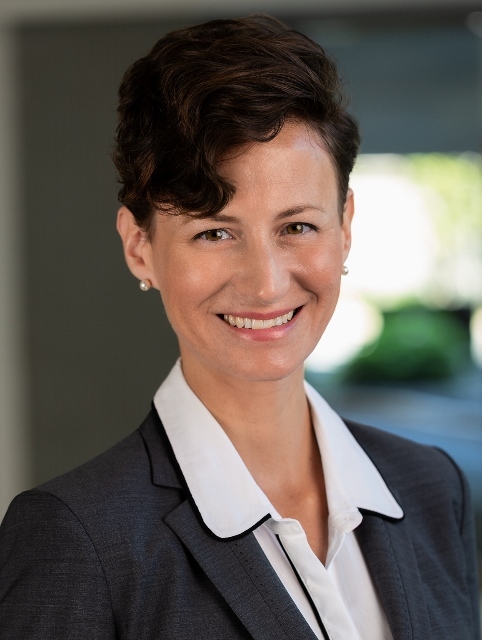 "A true leader, Robin is recognized in the industry for her extensive experience with public–private contracting, marketing of renewable energy, dispute resolution and public education and we're very excited to welcome her to the GBB team." 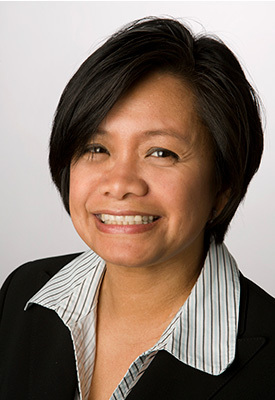 A senior accounting professional with a background in economics, "Lita" has over 25 years of accounting experience in the architecture, financial services, and legal industries. She was most recently Accounting Supervisor at Fox Architects, a Washington, DC-based integrated architecture, interior design, and environmental branding firm where she held various roles with increasing responsibilities for the past 12 years. Based out of GBB's headquarters in McLean, VA, she can be reached at alupe@gbbinc.com or (703) 573-5800. "With the combination of her finance / accounting background, extensive experience in professional services industries, and her years as a licensed real estate agent, Angelita emerged as a great fit for GBB's client-centric team." After joining GBB as Marketing Coordinator in the spring of 2018, Ashlea was recently promoted to Marketing Manager. 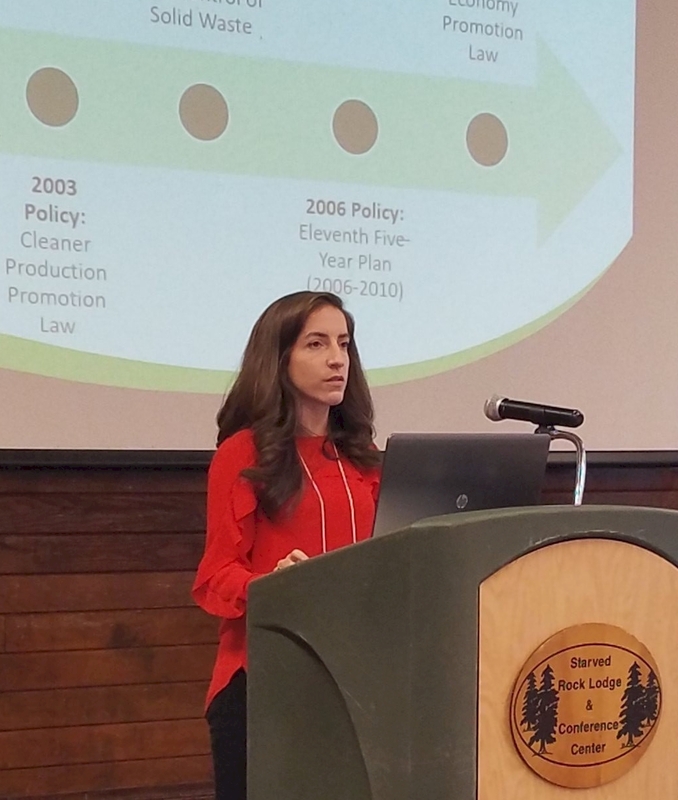 A driven professional with marketing, proposal, and project coordination experience in industries that include recycling, waste management, and energy efficiency, she established herself as a key member of GBB's marketing team. Based out of GBB's headquarters, Ashlea can be reached at asmith@gbbinc.com or (703) 573-5800. Was this newsletter forwarded to you by a colleague? Sign up to receive the GBB Waste Outlook newsletter. Newsletter not displaying correctly? View it in your browser. If you no longer wish to receive our newsletter, send an email to optout@gbbinc.com and we will honor your request immediately.